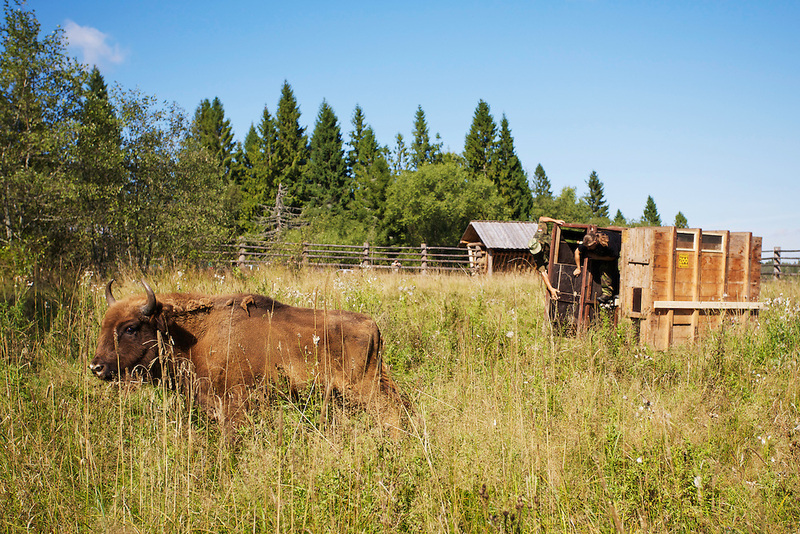 Two year-old male European Bison or Wisent (Bison bonasus) in an accomodation enclosure in Bieszczady National Park shortly after its release. The bison was donated by Prague Zoo. Bieszczady National Park. Bukowiec, Poland.